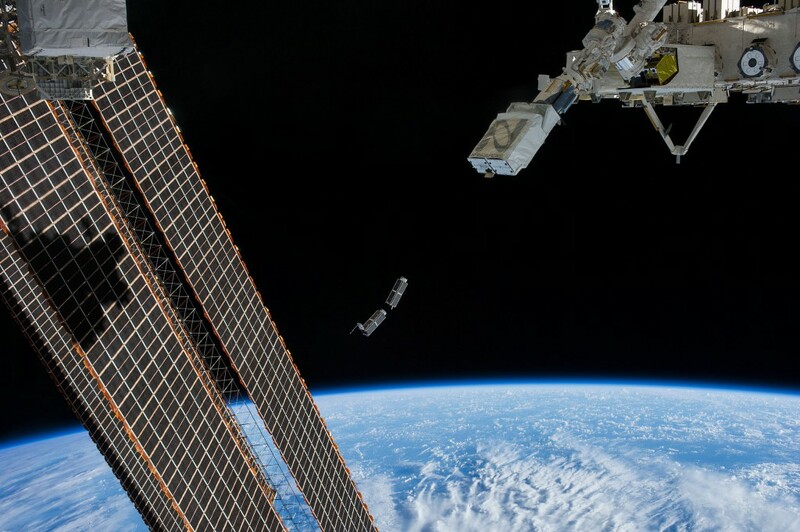 Because of their low costs and high scientific return, many universities are starting CubeSat projects. Paris Diderot University has created a Student Space Center in 2012 to support its nano-satellite educational activities. A dual-frequency GPS receiver to study the Total Electronic Content (TEC) of the Ionosphere by GPS occultation, measuring the phase shift of L1 and L2 signals. A scintillator and SiPM (silicon photomultiplier) for detecting gamma rays and electrons above the poles and the South Atlantic Anomaly (SAA), using the example of XGRE / TARANIS (currently developed at the APC) . With the support of CNES in the JANUS program (French educational satellite project), the APC (AstroParticle & Cosmology Laboratory) and the IPGP (Institut de Physique du Globe de Paris), IGOSat has already trained more than 200 students from Ile de France and elsewhere. 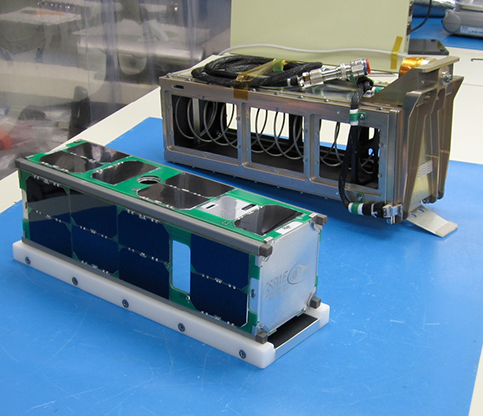 A CubeSat is a nano satellite standard, mainly constraining the size of the system (1 Unit = 10x10x10 cm) and its mass (1.33kg per Unit). Created in 1999 by CalPoly University and Stanford in California, it enables to design, manufacture and operate low-cost satellites. Thus, more than 300 CubeSats have been in orbit since 2003 (figure 2015). Subsystems called “on-shelf”, which drastically reduce development costs. 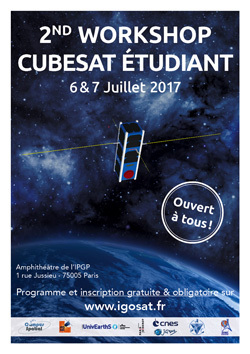 Déploiement de CubeSat depuis la Station spatiale internationale. The Radio-occultation payload is using the same measurement technique used already by various space missions, such as GPS/MET, CHAMP and FORMOSAT-3/COSMIC (Schreiner et al., 2007) mission (http://www.cosmic.ucar.edu). The FORMOSAT-3/COSMIC has been the first mission providing atmospheric profiling using a constellation of 6 microsatellites of 60 kg each. The Radio-occultation payload carried onboard IGOSat aim to prove that this science case can be investigated at a nano-satellite scale. Measuring the TEC from space is in complementarity to ground-based observations, producing data over the oceans and different observational geometry. Among the science objectives of this payload, there is also the possibility to measure ionospheric scintillation indices for observing small-scale irregularities in the ionosphere. The response of the ionosphere to changes in solar activity and to magnetic storms will be studied and gravity waves propagation in the ionosphere will be investigated through the induced small variations of TEC. Those waves are generated in the ionosphere by various physical processes, including tropospheric convection and tsunamis (fig. 1). Fig. 1. 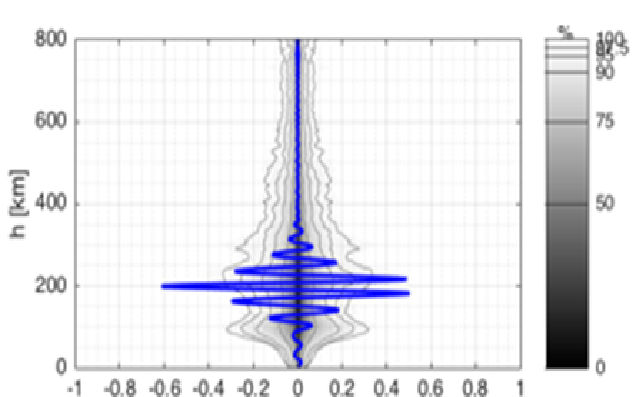 Vertical profile of a gravity wave detected using radio-occultation data from FORMOSAT/COSMIC3. 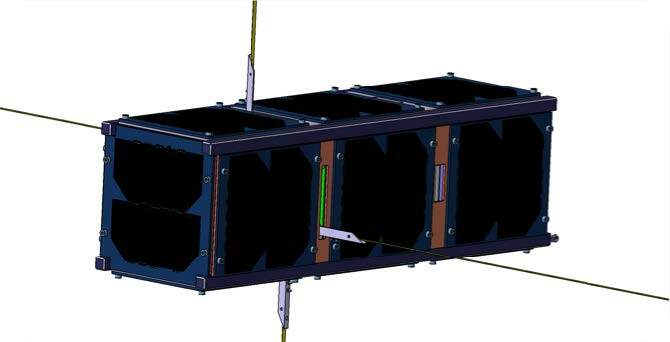 The Scintillator payload principles are based upon the XGRE instrument onboard the TARANIS CNES microsatellite (https://taranis.cnes.fr/en/TARANIS/index.htm). The XGRE detection unit is made of a sandwich composed of a crystal superposed by two plastic scintillators, read with a photo-multiplier; it is designed to detect electrons and gamma rays coming from Transient Luminous Events. The Scintillator payload carried in IGOSat is using a Silicon Photomultiplier (requiring a voltage between 15 to 75 times lower than typical photo-multipliers) with CeBr3 crystal scintillator, that has never been flown in space before. Flux map of 1 MeV electrons at 650 km simulation with OMERE from the DEMETER mission. 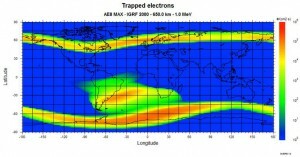 Some observations of the electrons spectra around the Earth have already been performed in the past, mostly in the 60’s and 70’s, leading to the electrons space distribution model AE8 from NASA. The DEMETER mission from CNES (Sauvaud et al., 2006) updated the observational data between 2004 and 2006 in the energy range from 70 to 2500 keV, at an altitude around 710km. The DEMETER results demonstrated an evolution of the spectrum at low energy when local magnetic conditions (such as storms) where met, that will be interesting to follow at higher energy with IGOSat. 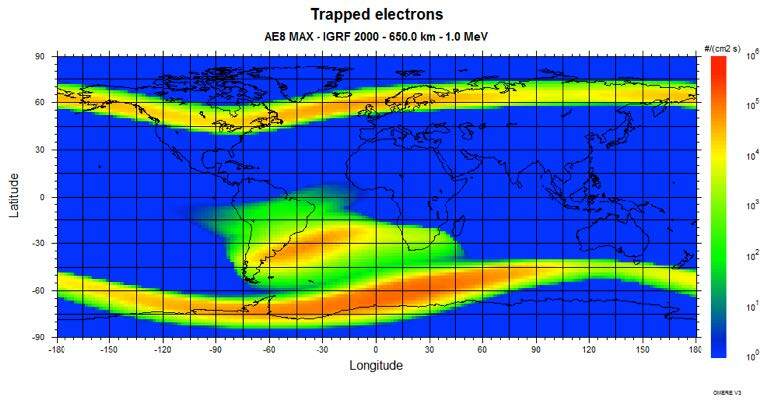 On the other hand, the AMS-02 experiment (Battiston, 2008) carried onboard the ISS measured high energetic electrons (above 200 MeV). IGOSat will complete these data by observing spectra between 1 and 20 MeV. There are few measurements of gamma rays in the magnetic belts for now, mostly because of the difficulty to do measurements above 1 MeV, as the flux to observe is commonly lower than the radioactivity induced by the interaction between the cosmic rays and the satellite itself. This noise is globally proportional to the mass of the satellite, and a nano-satellite should be therefore able to tackle this challenge, and the data may enable to separate the components between the internal radioactive noise, the Earth albedo and the belts emission. The CORONAS-1 (Bucik et al, 1999) mission measured spectrums between 0.12 – 0.32 MeV and 3.0 – 8.3 MeV, and a lot of instruments observed the gamma rays from the atmosphere below 1 MeV (such as Beppo-SAX, SWIFT, INTEGRAL) (Ajello et al., 2008). IGOSat will complete the data by observing the spectra between 20 keV and 2 MeV. IGOsat is a student project funded by the Labex UnivEarthS. The IGOsat project belongs to the Labex UnivEarthS. All images or texts on this site belong to Labex and should not be copied or reused without explicit permission. Copyright © 2019 IGOSat. Powered by WordPress. Theme: Esteem by ThemeGrill.